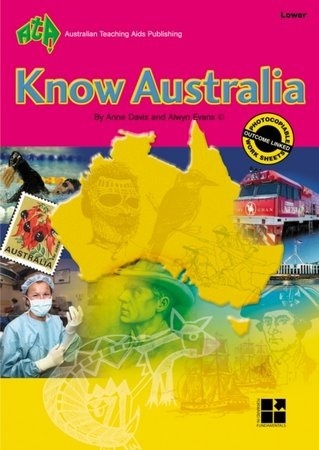 5	stars -	"Review for Know Australia: Lower" Dale Carter This Know Australia: Lower is the best Teaching Books I have tried. This series incorporates aspects of Australian history, geography, culture and contemporary lives in Australian society. Worksheets guide students with further research into topics. Blackline master. Sold individually. 60 A4 pages.